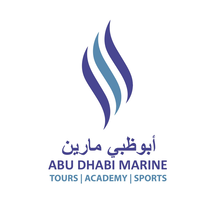 Abu Dhabi International Marine Sports Club is a governmental world-renowned venue for powerboat racing and the driving force behind the highly successful Team Abu Dhabi. Its support for powerboat racing and jet ski events is reinforced by its position as a founding member of the UAE Marine Sports Federation and as the national authority representing the UIM, the international governing body of power boating. The club is one of the Middle East’s leading venues for marine sports events at local, national, regional and international level. Annually hosting rounds of the UIM F1 H20 World World Championship, the UIM Class 1 World Powerboat World Championship and the XCAT World Series, it is also home to the UAE Jet Ski and UAE Wooden Powerboat championships. Fully committed to the development of marine sports, the club supports new events by providing facilities and organizational expertise. Across its full range of marine sports activities, the club places a major emphasis on attracting and nurturing young local talent for the chance to compete on the international stage. Beyond the marine sports arena, the club hosts and supports a variety of alternative events, over the years hosting the Red Bull Air Race, air shows, motocross races, and car rallies as well as fishing competitions.